The Universal 44 PR Vehicle Lift by AmeriGlide uses powered rotation to maneuver your power wheelchair or mobility scooter in and out of your vehicle. 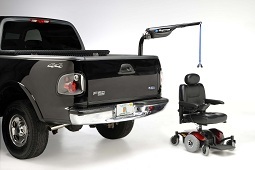 Featuring a 40-pound weight capacity, this lift is compatible with nearly any scooter or powerchair. 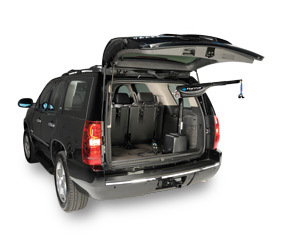 It also includes an integrated offset post to lift your mobility aid above your bumper and prevent scratches, as well as an adjustable base that can be altered to fit your car perfectly. 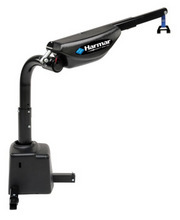 An adjustable telescoping boom arm makes hoisting your scooter or wheelchair even easier! 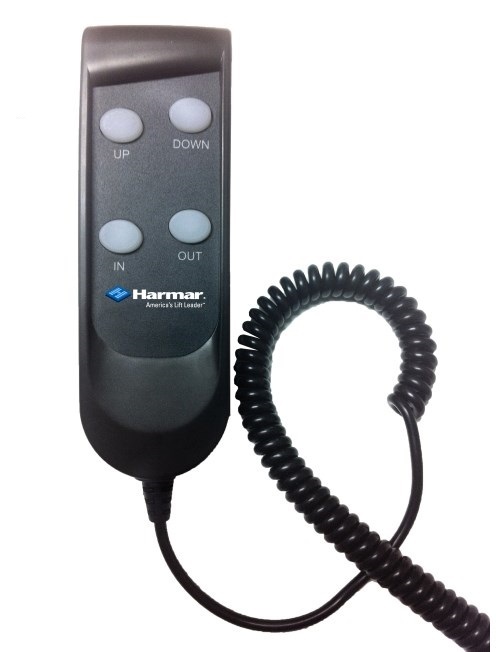 Remote hand control, weather resistant surface, and removable hook all come standard!